The star of Parks and Recreation and author of the New York Times bestseller Paddle Your Own Canoe returns with a second book that humorously highlights twenty-one figures from our nation's history, from her inception to present day—Nick's personal pantheon of "great Americans." After the great success of his autobiography, Paddle Your Own Canoe, Offerman now focuses on the lives of those who inspired him. From George Washington to Willie Nelson, he describes twenty-one heroic figures and why they inspire in him such great meaning. He'll combine both serious history with light-hearted humor—comparing, say, George Washington's wooden teeth to his own experience as a woodworker. 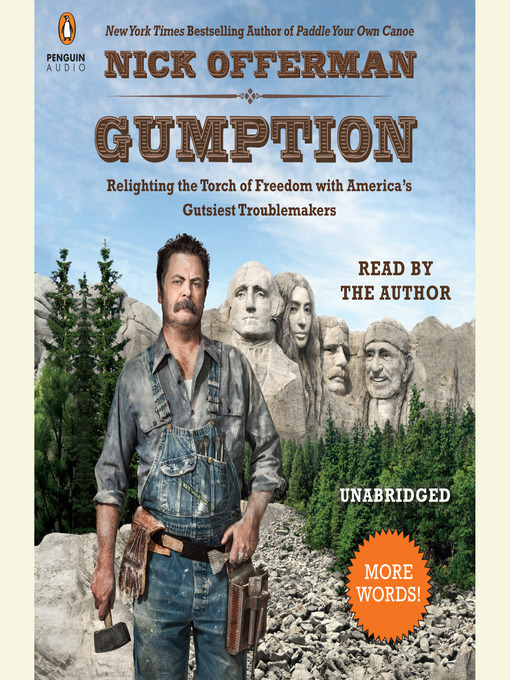 The subject matter will also allow Offerman to expound upon his favorite topics, which listeners love to hear—areas such as religion, politics, woodworking and handcrafting, agriculture, creativity, philosophy, fashion, and, of course, meat.